Own a VAN is much more than having a vehicle to get around with. It’s a real lifestyle. Stopping and sleeping anywhere, arranging in tiny spaces, enjoying solitary scenic spots accessible to few. This is the life on the road that many would like. 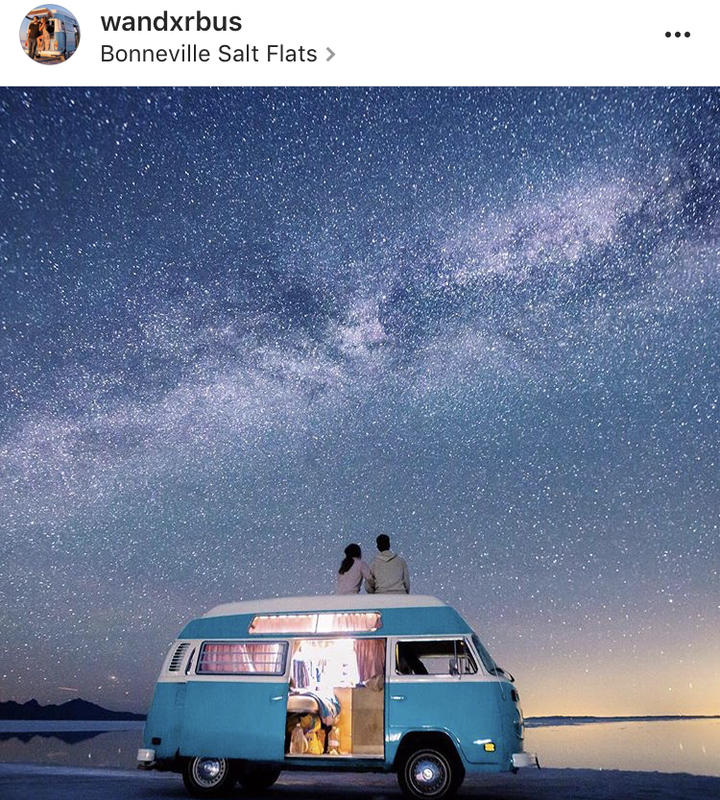 So why not spy in their lives thanks to their Instagram profiles dedicated to #VANLIFE? 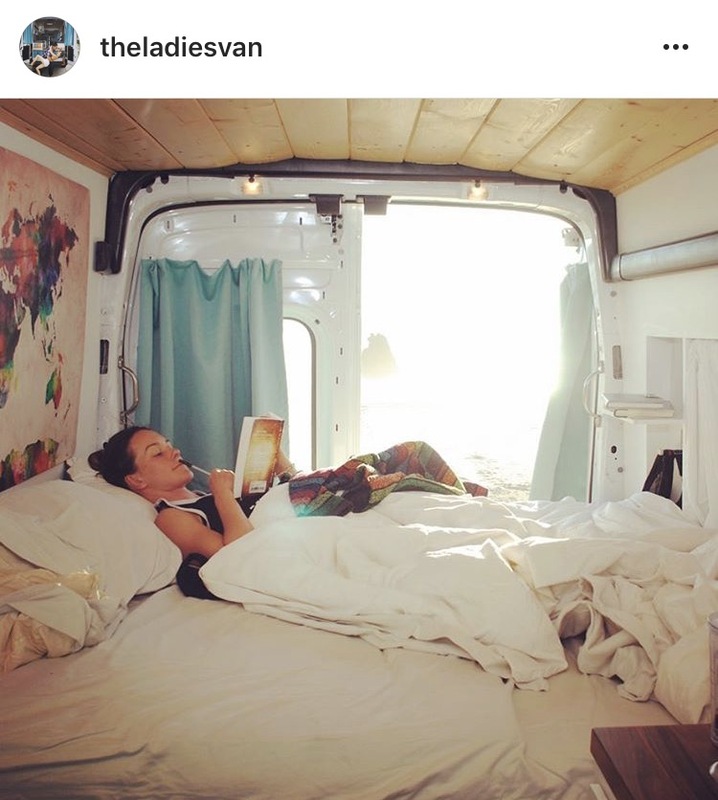 Here are my “10 favorite profiles about living the VANLIFE for a life on the road”. This beautiful Australian couple @roamingwithrob and @explorewithlau will make you dream with their pictures and adventures around the New South Wales. 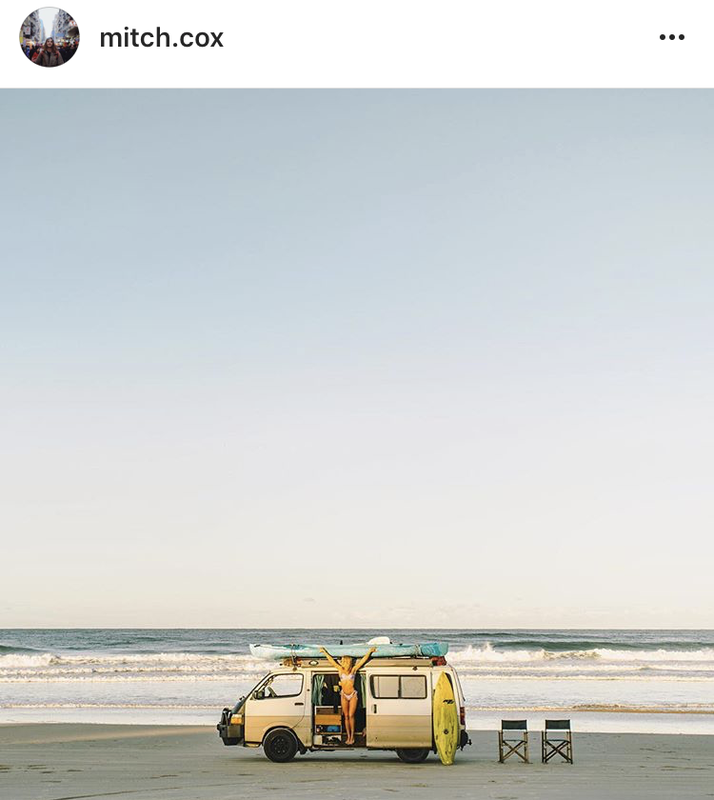 Following them on Instagram you will do yoga on the Australian cliffs, turn on fires, prepare banana pancakes in the woods and you will see amazing sunsets. Still not ready to follow them in this beautiful adventure? In that case start to visit their very cool project about the perfect outdoor underwear. www.bumbu.com.au is a line designed for active women and boys perfect for any kind of night out! Say hello to Amanda, Joe, Joey and Maho! The amazing Trattner family is happy to get you on board of their house – bus! This super cool house with wheels is totally builded by them and from the 2016 also welcomes their baby on board! The simple bus life is more than an IG account. 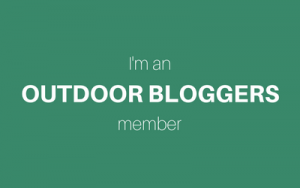 Is a blog where they write and show how to live with less and be happy. 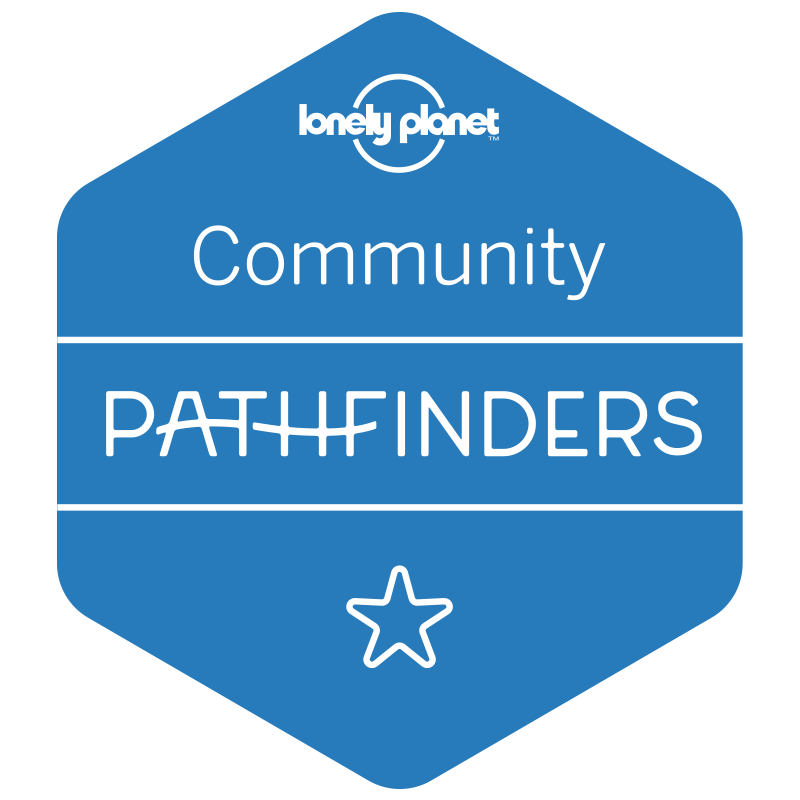 With their life they want to inspire others to live in more ethical way, to be more sustainably and eco-friendly and to waste less. Some of their pics are just too sweet and look how cool they design the interior of the bus! Amazing! This really talented photographer and video maker is currently exploring the USA and we can say that his life is the perfect example of VANLIFE lover. 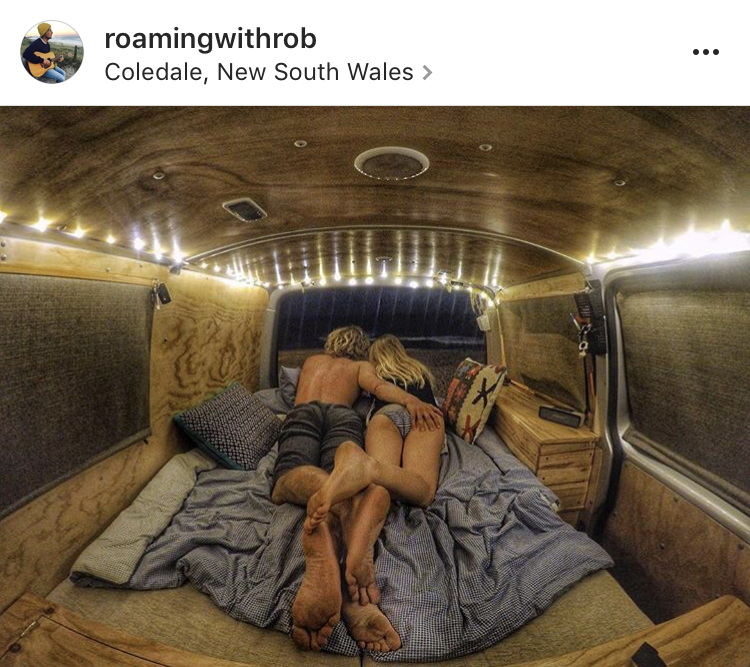 He start with his girlfriend Cleo to travel with their fixed van around Australia to visit in the unique way they love: the VAN TRIP. 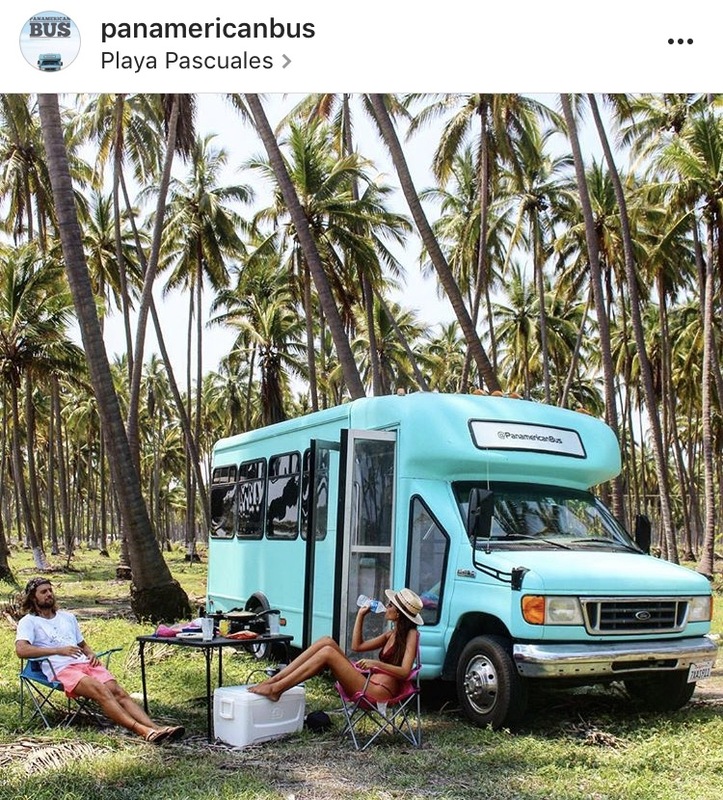 now they are one of the most famous VANLIFE AND TRAVEL BLOG/PROFILE. Congratulations guys! Their images are filled with magic and unique moments. There are burning fires on the beach, racing along the American highways, crystal clear waters and feet coming out of the sleeping bag in front of the spectacle that is the zion national park. would not you like to follow them? Wandxrbus is one of my favorite profiles. 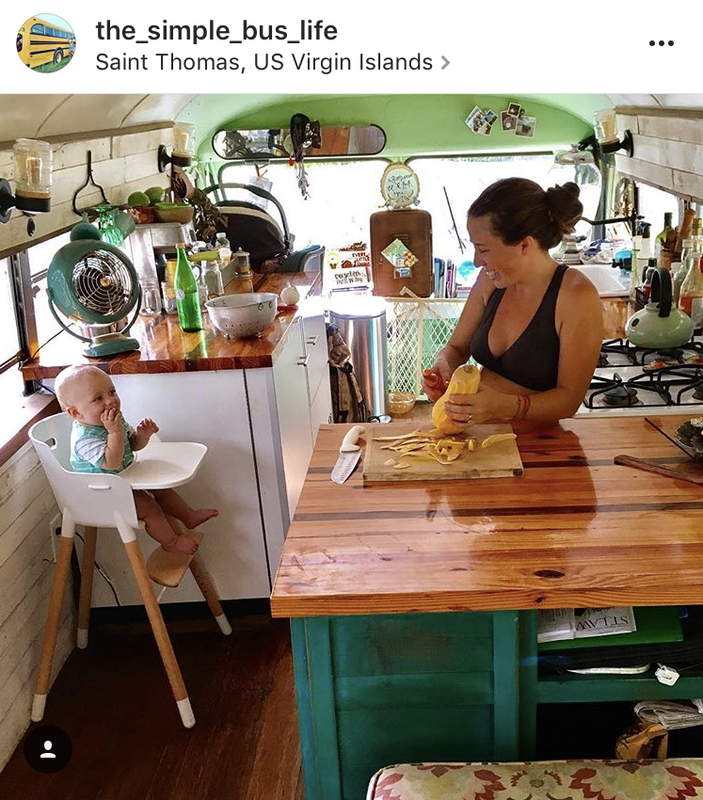 Sabrina and Jimmy travel around the US for the perfect shot in the perfect moment with their vintage blue van Wandxring! This beautiful couple show in their pics and youtube videos how to live in a very tiny space with a dog and live the live you desire. I like them because they share tips and “how to do” about videos and photography and is clear how much work is behind this pics. Noel is a true force of nature. Simply to love at first sight. She works in a homeless homestead in San Francisco and during the whole weekend the campsite and outdoor life are her life. I love his irreverent insights that always tell a story. I love she love dogs like me. I love she having no children. Like me. I love her very simple, real pictures. I love that she shows up as it is. Not you? 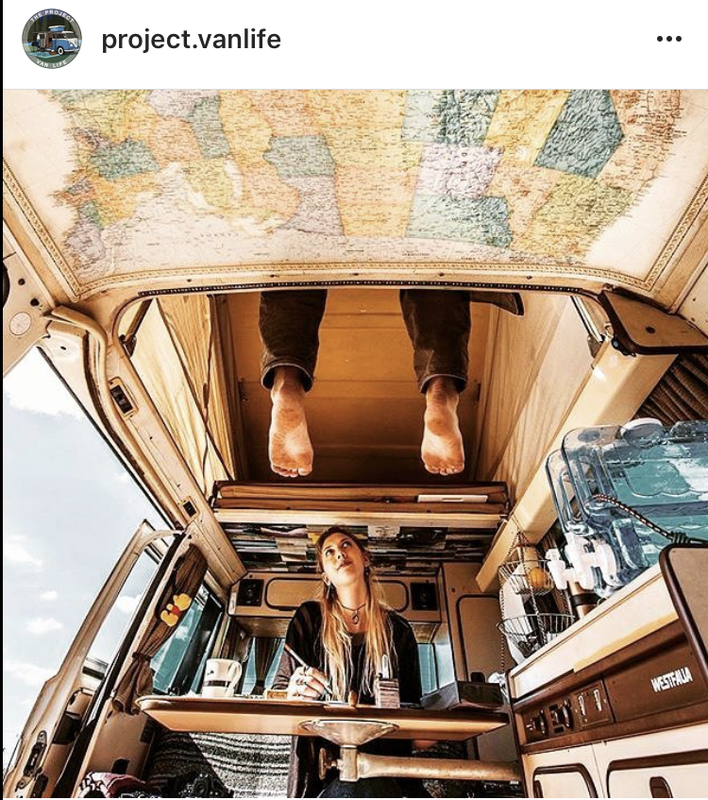 Project Vanlife is Instagram’s profile of “Vanlife” lovers and its motto is obviously inspiring others to live their own VANLIFE on the road. 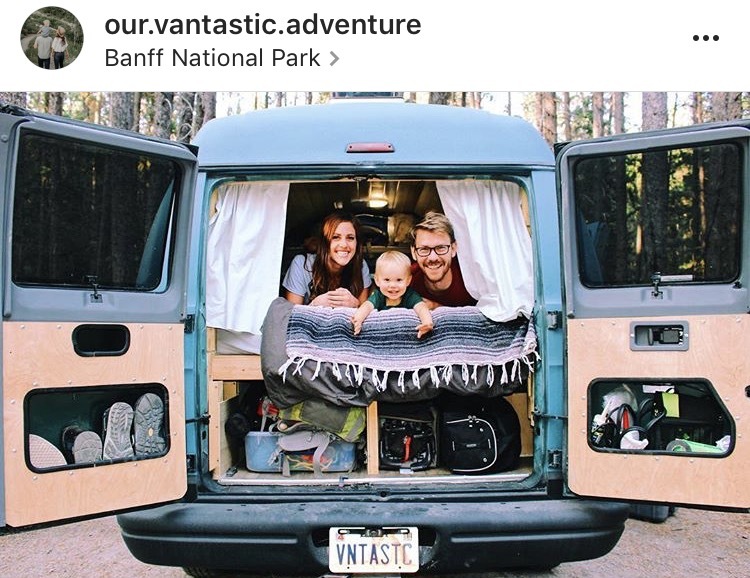 Here you can find the most famous vanlife profiles, but also people who occasionally love some outdoor adventure and tag their photos with the official #projectvanlife community tag. This sweet American couple has been together for 4 years, have an adorable son, Fin and certainly are not lovers of grand hotels! After selling as much stuff as possible they bought an old dodge van, resigned it and now they started off to their incredible adventure. Outdoor lovers you can see them hiking, trekking and camping everywhere. Accustomed to traveling along the most beautiful American parks with them you will see how a family with kids lives on the road. This couples of ladies from the US are not here just to show us how to travel. They build vans by their own for everybody and they teach you how to do it! 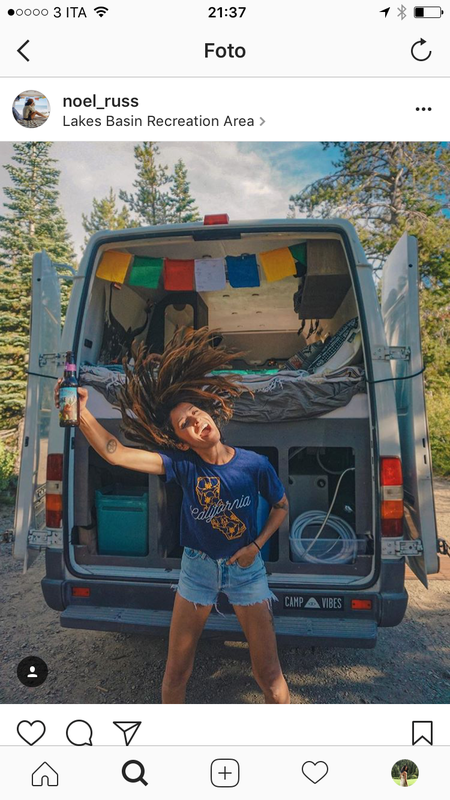 With their self made custom camper they travel and do yoga everywhere they want. They love to meet other van lovers and create interesting greet and meet around from the California coasts to the middle of the desert. Don’t lose their profile on Instagram! Mili e Marcos are a beautiful Argentina couple that converted a school bus into a real amazing big house on wheels and start to travel throughout America. You can see them surfing in Mexico or camping in the California coast, making pancake in the morning or just chill under palms and trees. Follow their journey on they Instagram account and be jealous of their relaxing life! 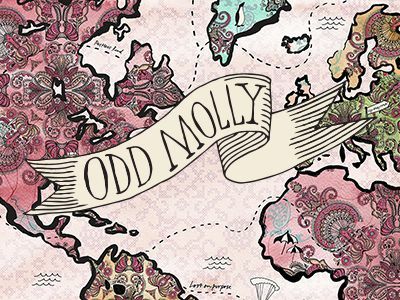 This is inspiring some serious wanderlust in me for some reason. Davvero fantastici questi van!! 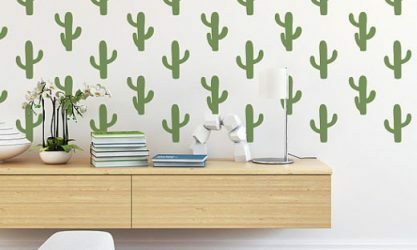 Non ho mai provato a farmi una vacanza on the road in questo modo ma sarebbe bellissimo!! Magari avere un van di questi!!! Spero un giorno di costruirmene uno!! Such a cool accounts! Very inspirational! Omg I LOVE these! Always wanted to do van life type living. We would need a school bus for our family. I think the same!!! I told to my bf to buy a van and start to fix it now!! Love this! Makes me want to up and just go visiting with this. It’s really awesome. Will definitely follow on IG for more inspiration. Thanks for posting. That’s cool! Love this IGs!